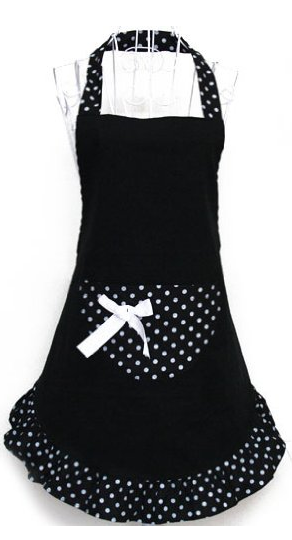 Black Polka Dot Apron Only $4.42 PLUS FREE Shipping! You are here: Home / Great Deals / Amazon Deals / Black Polka Dot Apron Only $4.42 PLUS FREE Shipping! feel to it and I just love it! Get the Black Polka Dot Apron for Only $4.42 PLUS FREE Shipping now!